Estimates show that one in three Coloradans have prediabetes and are at risk for developing type 2 diabetes within six years. Prediabetes does not have to lead to type 2 diabetes, and the State of Colorado has made a decision to encourage wellness and help employees reduce their risk. 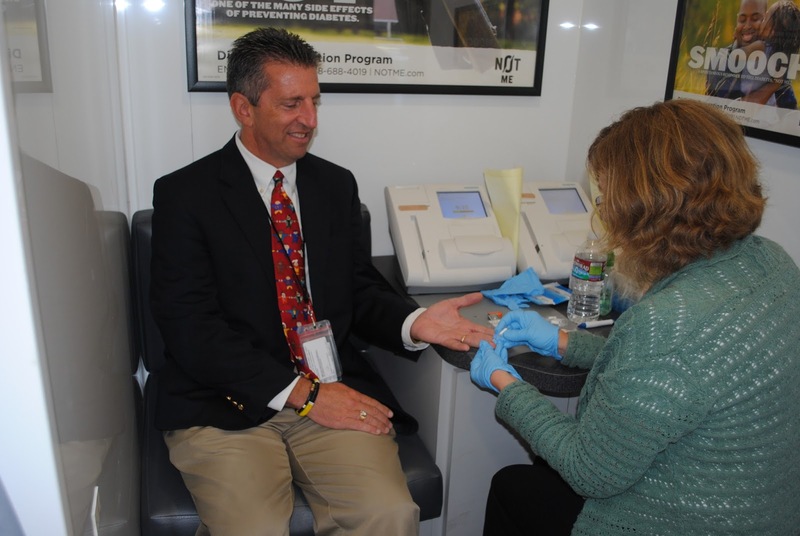 This month, the Diabetes Prevention Program (DPP) became a covered benefit for state employees who have either UnitedHealthcare or Kaiser Permanente. 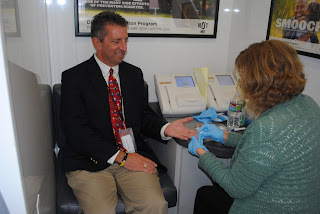 Dr. Larry Wolk, new executive director and chief medical officer for the Colorado Department of Public Health and Environment, kicked off the new program by getting tested for prediabetes with other health department employees at a Sept. 17 screening event at CDPHE. Another screening event to launch the new benefit will be held on Sept. 20, from 7 a.m. to 3 p.m., at the Capitol. The Diabetes Prevention Program, now being offered at work places and community-based organizations across Colorado, has been shown to prevent or delay the onset of type 2 diabetes. Taught by trained lifestyle coaches, this 16-week program helps people lose weight and increase activity through weekly sessions that focus on how to read food labels, how to develop and maintain a healthy diet, and how to deal with stress without overeating. To learn more about the Diabetes Prevention Program and where programs are located throughout Colorado, please go here or call 1-800-DIABETES.